Where am I? > Home > Travel Insurance Quotes > Medical Travel Insurance > Could 'purple' rice beat cancer? Could 'purple' rice beat cancer? Could a 'purple' rice (not the one in the photo) developed by scientists help people with cancer? Scientists have developed a new type of antioxidant-packed rice which could potentially join the fight against cancer. 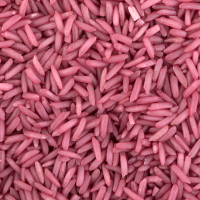 Chinese researchers came up with the distinctively-coloured 'purple' rice as part of testing for a new advance in genetic engineering. Its purple colour is down to the fact the rice is rich in antioxidant-boosting pigments called anthocyanins - found in blueberries and red cabbage. Researchers say the rice could reduce the risk of some cancers thanks to its ability to offset the damage of oxidation to cells. By the same measure, it could also lessen people's chances of suffering diabetes and heart disease. People with conditions like diabetes can arrange specialist medical travel insurance when taking a holiday. Lead researcher Dr Yao-Guang Liu, from South China Agricultural University, said: "This is the first demonstration of engineering such a complex metabolic pathway in plants. "Our research provides a high-efficiency vector system for stacking multiple genes for synthetic biology and makes it potentially feasible for engineering complex biosynthesis pathways in the endosperm of rice and other crop plants such as maize, wheat, and barley."